Let me make this clear. These are only my personal observations and opinions, so please accept them or disregard them as per your own judgmentally. Love spells and blackmagic are a complicated topic with many different practices and beliefs involved. Please accept my writings on this topic as a free service to the community, because it is really sad to see folks using services of spell casters which are not really ethical and don't follow proper magic rules in their line of work. When people feel vulnerable and without hope, it's particularly easy to be misguided in both magic and real life. Magic by its own nature contains a level of secrecy, it feels like something truly exotic and out of reach to ordinary people, and in many case it really is so. People looking for spell casters and magic practitioners, are searching for things they really don't know or understand. And this is the reason why they are so vulnerable to crooks and fake spell casters, which pretend to be something they aren't, with all their mystic loaded names, websites and impressive looking credentials. They are always ready to take your hard earned money without doing any magic or spell casting at all, despite all their promises and this is something which damages reputation of all honest spell casters out there. And let me clarify a thing about myself: I am a real spell caster and I do magic (not black magic) to help people. But I don't have any motives for writing this guide beside helping people by informing them about what they should look and ask for. There are many good, skilful and knowledgeable magic practitioners in the world, and chances are that the secret powers we don't see with our eyes, will lead you to one of those honest spell casters. But no matter what, you should know that like in many other situations in life there are no love spell casters nor magic spells which fit perfectly for everyone. Every magic practitioner has his own field of speciality and his own unique magical gifts. Because of this, they will work on different cases with various end results. For what it's worth, I tend to keep my magic work to a bare minimum. To do real magic and to cast energetically strong spells (love, money, binding) is hard, and to keep hundreds of clients which could be impressed with my guide would prove to be nearly impossible. So instead, I work only with a couple of clients at a time, so every client has my complete, undivided attention. Here are a couple of things you should think about before you choose what is good for your case. Ok, so lets see how come there is so much different styles and ways of doing magic? What are some of the differences in spell casting? You have probably heard some of these names: witches, psychics, voodoo priests, wicca and so on. So lets think about these and many others and consider them to be a part of a broad category. Lets call this category magic practitioners. All above named groups and individuals are involved in a particular style of magic and spells, be it from a traditional based approaches or as a way of expressing their religious needs. The essence is this: the urge to practice magic comes from a real life problem which can be solved with some magic practice. This is something every society in every age practiced, since the dawn of the human race on this earth. It is not about some popular New Age cult, instead it is a deeply felt and needed practice. This practice is sometimes performed by experienced magic practitioners, which share their magic gifts and in return make a living of it. You will probably easily found a number of different magic practitioners online. Here is a word or two about these different styles of magic. First of all there are some which call themselves Witches. These people are involved in a kind of magic known as witchcraft or blackmagic and is mostly coming from the old European magic traditions. Wichcrafting involves rituals, chanting, herbal potions and other less known practices. Basically this kind of magic is not religion based, and can be considered as a magic skill which can be learned no matter your own religion or ethnic origin. But there is also a group of Witches which prefer another approach. They call themselves Wicca. Wicca is actually a widely recognized form of nature loving and peaceful religion. But many Wicca's also practice a way of Witchcrafting which is an essential part of their ceremonies. 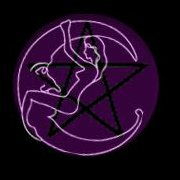 And here is a problem: not all Wican's are doing Witchcraft, and not all Witches are Wicca's! Confusing, isn't it? True Wiccans only do what is known as white magic, meaning that they are not into forcefully influencing or controlling other people, which is often considered as a blackmagic. Interesting enough, Wicca teaches that the magic powers follow something they call the law of return, the magic you sent to someone will in time come back to you in three times stronger form. This means they will often avoid to do even white magic. So if you see someone who claims he is a Wicca and offers you a revengeful magic or love spell, you will know he isn't really a true Wicca. A true Wiccan will never do a revenge, love spell or anything similar no matter the money, as he believes it will come back to him in no time. In fact, you will hardly ever find a Wiccan which casts spells for money. Spiritual workers are actually people like me. We usually use a number of different approaches including prayers, religious devotion and casting magic on behalf of our clients. In general, the work we do is of “white” kind of magic (not blackmagic) but this certainly depends on the circumstances. Sometimes when you want to break up with a boyfriend who abuses you, you are allowed to use some more radical ways of doing magic on your behalf. When a wicked person wants to split up your longtime relationship or marriage you must deflect his or her evil intentions and it will still be a kind of white magic. The overall situation is all that matters, in one situation something is not acceptable while in slightly different situation the same magic action is quite appropriate. This is why a good Spiritual Worker has to know many things. Sometimes a Spiritual Worker can also offer you some good spiritual advices. Many of us are deeply involved with our church communities, although in many cases we are not tied to any particular confession. In fact, anyone who is deeply connected to the Divine and is willing to help other people can be considered as a Spiritual Worker. If you pray often, and you pray for other people's benefit you can consider yourself as a Spiritual Worker. Many of us who are involved in magic spells, light candles for other people because candles and prayers are an effective combination. Spiritual Workers can also provide other services or goods like supplies for spiritual cleansing baths. Often some other magic techniques are required, like love spells, magic ceremonies, burning incenses and so on. In fact, a decent Spiritual Worker can do broad variety of magic actions on your behalf. An honest professional will always answer any question you have. Of course, this doesn't include obsessive or malicious kinds of questions. What is important is how and what they answer you, and this will give you clues about what kind of Spell Casters they are. A good magic practitioner will want to learn more about your situation and your background. If he claims he has all the answers for any possible situation it should immediately raise your suspicion. As said before, there are various skills and types of magic. One kind of magic is great for a particular situation, but is completely inappropriate in another situation. Most spell casters have rules and they wont do some kind of magic no matter what. These are of limit for them, and someone who is genuinely ethical wont promise you something he cant complete for any reason. The same happens if your request is hardly achievable, like if you want to get back your long lost first love, which is now living abroad and is happily married. These kind of things wont work very well, and a true Spell Caster will let you know about this in advance. There is another way you can see whether you deal with a good magic practitioner or not. A good Spell Caster will provide you with feedback even before he starts his work and before he gets hired. This way, he will let you know what to expect from the process. If people come to me with some questions, I have to understand their situation so I know if I can help them in the first place. Of course, magic is by its own nature hard to define and control and no outcomes are absolutely certain, but a good magic worker should tell you if your request falls into the realm of possible. Like the example above, if there is a need for a break up and reconciliation Magic Spell, are those spells proper for this need? Can they give you the results you wanna see? Clearly in the example above the answer is no. Things have gone too far, and a magic worker who is telling you something different is not really honest. Of course there are times and situations when some clients don't want to understand this and want a spell cast for them no matter what. This is all right, but a professional spell caster should always inform his client about his professional opinion, before he gets hired. If you ask your magic worker about his magic practice, he should tell you what will be done on your behalf. If someone tells you that he cant tell you about his magic secrets, they are likely not real professionals. Of course, most magic practitioners wont tell you all their tricks and you wont get detailed answers, but he should provide you with the basic informations about the magic which will be performed for you. Here is what it should look like when you ask about your spells. Please note: this is not really how it works, just an provisional example so you can recognize a true magic worker. “I will invoke the spiritual forces of Lakshmi into this blessed candle and while it burns, I will pray and mix a herbal potion which will be either burnt or mailed to you, as to continue influencing positively your financial situation, and so on.” This is quite important in my opinion, and it is so for several reasons. First of all, you should know what you pay for. Second, people hiding behind their secret oats are in most cases fake. And in the end, you may want to do something on your own, to enhance the magic process, such as drinking a herbal tea, praying on your own, do some research about the whole process and so on. A good magic worker will always educate his clients about magic, about his ways of performing magic work, what is the best way for the client to get most of it, and what could be the potential end results. If the magic worker skips this important step, you should be careful as this is a highly suspicious behavior. It is perfectly normal to have many questions about the magic, and you are paying for this with your own, hard earned money. So it's their professional obligation to inform you properly. Of course this doesn't mean you should receive training in magic or your magic worker should become your teacher. It simply means that you should get the feedback on what is being done for you and what you could do to enhance the magic to help you achieve the results you wish for. A genuine magic practitioner should always provide you with informations about what should happen after the magic work is performed. If he tells you that you don't have to do anything, you are not getting a great service. Of course, you can always sit back and wait for the magic to take its course, and wait for everything to work without you taking any additional steps. But someone who knows his work, will at least give you some additional guidelines both magic and common sense based, on how to push the whole process in a good direction. Here is another example. You are searching for your dream job and you want to get help from a magic worker to cast some spells to help you along the way. You are not really actively searching for this job, and you would like for a spell to do the most work for you. Normally, sitting back and watching TV shows wont get you any closer to your dream job. Will the magic spell cast for you, be able to drag the employer to your living room to offer you your dream job? Not very likely. Now here is what a genuine spiritual worker would told to our job seeker. He would let him know when exactly he started his magic work and advised him to search for this job opening when the magic starts to work. A good prayer before the job search is always helpful. And while searching, our prospective job seeker will find a job offer which looks potentially interesting and rewarding. This will be a strong indication that the magic is working on his behalf. But this is not, all as the magic practitioner might provide our job searcher with a special herbal mixture which should be applied on the papers he uses for his job application. Later on, the magic practitioner will advise the job seeker to contact the potential employer and ask for a job interview. Since this all happens under the influence of magic he will be assured that the powers are helping him to get the job he needs. Now that is a good approach, and one which will yield the best results for the client. And this is how it should look like when you hire some real Spell Caster. It is extremely important for the client of a magic worker, to know about the kind of signs which he should look after, once the spell is cast. Personally in my work I tend to provide my own clients with a timeline of events. It will help people to know what to expect and most importantly, was the spell successful. Here is an example: if a client wants a spell cast to bring her old love back, and after some time this didn't happen, she will clearly recognize this and is able to take further actions. This could include repeating of the magic spell, changing her intentions or in some cases accepting the sign and understanding that it is time to move on. This is why it is of critical importance for a professional magic worker to give proper information to his client after the spell is cast. And this is not all, as there are more signs which come from the magic work itself and which are important for the client (signs, mystic experiences, ESP). Every magic work is different as every client and his situation are different. Your magic worker has to share all such informations with you as it can give you clues as to what actions you should take.